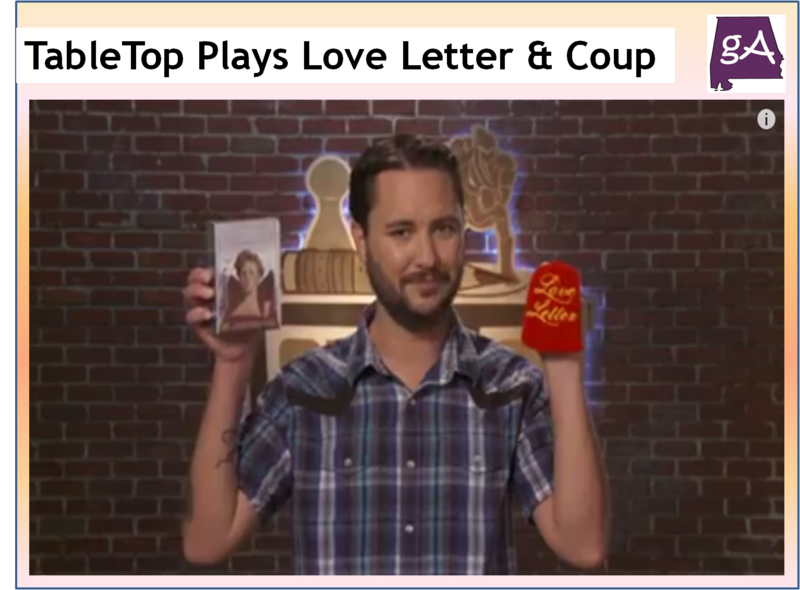 It’s YouTube day on TableTop, as Wil Wheaton is joined by The Fine Bros. (Rafi Fine and Benny Fine) and Felicia Day (from Alabama) and they play the two card games called Love Letter and Coup. One game is about corporations controlling everyone, and the other game is about love deception. These are two great microgames and who becomes the overall winner, watch below! Just bought coup so can’t wait to watch tabletop this week. Really don’t get the fuss of love letter though. ….just not my thing. Yep, both games looked good, but I think I would enjoy Coup more than Love Letter myself. Thanks for commenting!